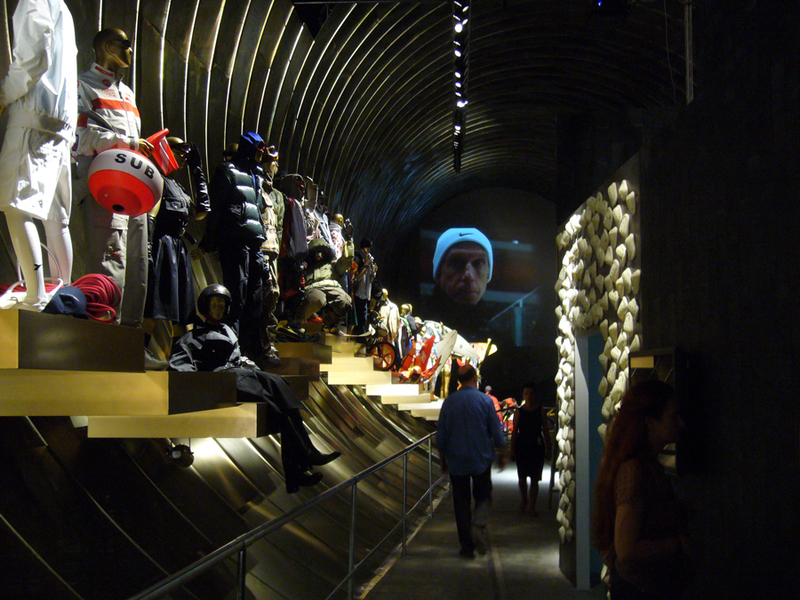 The Italian fashion fair organizer, Pitti Immagine, commissioned INABA to design a 22000-square meter exhibition environment to coincide with the Spring 2007 men’s collection presentations. Installed inside a former train station in Florence, the project’s main feature is a 345-foot long, 33-foot diameter, cylindrical metal structure of new construction. Gold-painted ‘winner’ platforms run along the length of one side displaying couture and ready-to-wear pieces. Four freestanding ‘field houses’ situated down the central axis and ranging in area from 700 to 1100-square feet accommodate art and photojournalism. 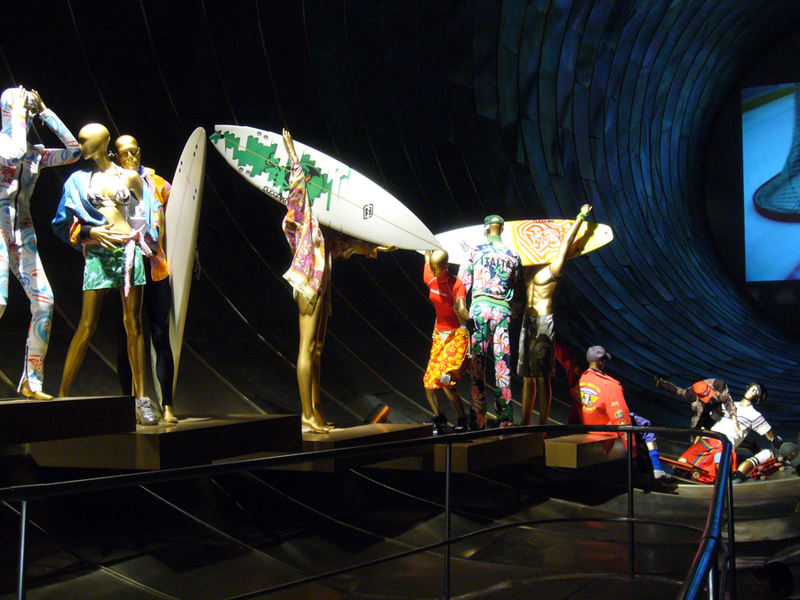 The monumental cylinder acts as a unifying architectural element for the display of over 700 fashion items and 300 video, painting, sculpture and photographic works – assembled together to show the inspiration of sports for fashion and art and its often controversial role in politics.